Today, Josh Martin and Juan Cuevas join us to talk about how you can turn a vision of being a church that plants churches into a reality. 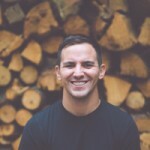 Martin and Cuevas are a part of Resonate Church in Washington which has a vision of planting 21 churches by 2021. Resonate has a vision called 21×21. The plan is to have 21 churches planted by 2021. Goal is after three years to plant a church and then plant a church every year thereafter. You have to create a culture of sending in order to have a church plant that plants churches. It is imperative to have an intentional student leader pipeline. Utilize summer programs and give them opportunity to lead and own ministry. Exposure and training are necessary in the process. Missions trips can be critical. Have expectations for multiplication and that they will be sent. 3-2-1 Metric for house churches and future leaders. Look for the David not the Saul. Every year Resonate asks students who are graduating to commit to joining a church plant for two years after graduation. The key to this being successful is your vision being clear and you also being committed to it as well. Staff raises support so they have the ability to move where the church plant is needed. Trust the Lord to use young leaders to plant churches. 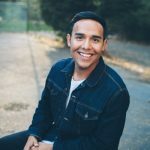 Juan Cuevas interned with Resonate in 2014 and now is the worship leader at Resonate at Eastern Washington University.